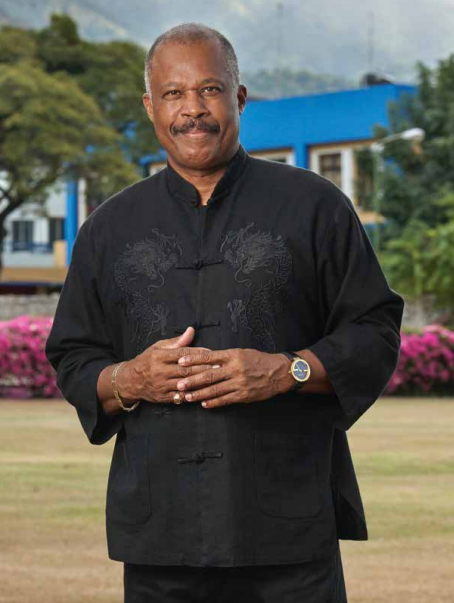 Professor Sir Hilary Beckles is the Vice-Chancellor of The University of the West Indies. Before assuming this office on May 1, 2015, he served the university as Professor of Economic History, Pro-Vice-Chancellor for Undergraduate Studies, and Principal of its Cave Hill Campus in Barbados for thirteen years (2002-15). Sir Hilary has had a distinguished career as an academic, international thought leader, United Nations committee official, and global public activist in the field of social justice and minority empowerment. He joined The University of the West Indies in 1979 after completing doctorial studies at the University of Hull. In short time, as a result of a distinguished record of published research, he was promoted to the rank of Reader and at the age of 36 became the university’s youngest scholar to be promoted to a personal chair. Shortly thereafter he won the inaugural Vice-Chancellor’s Award for excellence in the field of research. Professor Beckles has had several visiting appointments, including Senior Commonwealth Fellow at London University, and scholar in residence at New York University’s Centre for Latin American and Caribbean Studies. Sir Hilary has had widespread Caribbean and global recognition for his academic achievements and leadership expertise. He serves on many United Nations Committees and Advisory panels. He was called upon by Secretary-General Ban Ki-Moon to serve as an inaugural member of his Science Advisory Board on Sustainable Development. He also served as an advisor to UNESCO’s Cities for Peace Global Program, and was an advisor to the UN World Culture Report. For many years he was a lead conceptualizer of UNESCO’s Slave Route Project, and currently serves as its Vice President. He is also a member of UNDP’s Advisory Panel on the Caribbean Human Development Report. After years of critiquing UNESCO’s highly respected eight volumes series, The General History of Africa for its inadequacy as a reference in respect of African diasporas in Europe, Middle East, Asia, and the Americas, he was appointed an Editor of the 9th volume which is conceptualized around the theme “Global Africa”. For his outstanding academic leadership and public advocacy around these themes, in 2015 Sir Hilary was invited by the President of the UN General Assembly to deliver the feature address during the sitting in which 2015-24 was declared the UN Decade for African Descendant People. This address was followed by many speaking engagements on the theme; the USA Congressional Black Caucus, Washington; the House of Common, London; Oxford University, Harvard University, the University of Johannesburg, the University of Ghana, the University of London and the University of Edinburgh. Sir Hilary received his higher education in the United Kingdom and graduated in 1976 with a BA (Hons) degree in Economic and Social History from The University of Hull, and a PhD from the same university in 1980. He has lectured extensively in Europe, the Americas, Africa and Asia, and has published over 100 peer reviewed essays in scholarly journals, and 12 books on subjects ranging from Atlantic and Caribbean History, gender relations in the Caribbean, sport development and popular culture. Sir Hilary has sought to push the frontiers of knowledge and through his publications to initiate new field of enquiry. His book “Natural Rebels: A Social History of Enslaved Black Women in Barbados and the Caribbean (Rutgers University Press/Zed Book, 1989) was the first major study of enslaved women in Atlantic slave societies. This was followed by “Centering Woman: Gender Discourses in Caribbean Slave Societies (James Currey Press/Randle Publishers, 1999). This is now a vibrant field of research. His “White Servitude and Black Slavery: white indentured servitude in the Caribbean, 1627-1715: Tennessee University Press, 1989) was the first major study of the oppressed landless British working class who were a critical part of Empire and of the slave societies of the British Caribbean. In 2016 he published another seminal monograph: “The First Black Slave Society: Britain’s Barbados, 1627-1876”. This study locates Barbados as the first African majority society in the Atlantic world, and a slave society best described as “Made in Britain”. Likewise, his seminal study “Britain’s Black Debt: Reparations for Slavery and Native Genocide in the Caribbean: UWI Press, 2015”, is an economic history of the rise of British Capitalism in the 17th-19th centuries that provides the evidentiary basis of the claim for reparatory justice for the genocide of the native community, the globalization of African enslavement, and the deceptive indenture of Asians that followed -“three acts of a single play”. Sir Hilary has edited and co-authored 13 books, the latest being a pioneering study co-edited with Professor Heather Russell, “Rihanna: Barbados ‘World-Gurl’ in Global Popular Culture (2016), that situates the rise of the Barbadian pop icon as one of leading global artists. Sir Hilary has received numerous awards for his contribution: including the Degree of Honorary Doctor of Letters from Brock University in Canada; the University of Glasgow, in Scotland; his alma mater, The University of Hull, in England; the Kwame Nkrumah University for Science and Technology, in Ghana; and the Degree of Honorary Doctor of Humane Letters from the University of the Virgin Islands. In 2007, he received a knighthood, Commander Knight of St. Andrew (KA), the highest national honor recognized in Barbados “in recognition of his distinguished service in the fields of Education, Sports and the Arts”. In 2015 he was honored by the Borough of Brooklyn, New York, for “extraordinary achievement, outstanding leadership, and contribution to the community”. He also received in 2015 the Second Global Community Healer Award for humanitarian work from the Community Healer Network, Washington DC, following the legendary Maya Angelou. In 2016 he received the Sisserou Award of Honour from the Government of Dominica “in recognition of his contribution to the Commonwealth of Dominica and the region in the field of Education”. In 2017, the Town of Hartford in the state of Connecticut, declared 21st March, Sir Hilary Beckles Day in recognition of his global contribution to social justice and human equality. He also received the prestigious Amistad Award from Central Connecticut State University, “in recognition of his outstanding contributions to historical knowledge and the struggle for human rights”. Sir Hilary serves in multiple roles in the Caribbean private sector, and is a long serving director of Sagicor Financial Corporation - the largest, international financial services conglomerate in the region. He is a director of British telecom giant Cable and Wireless (Barbados Ltd). He served as a director of the West Indies Cricket Board, and was a director of West Indies Cricket World Cup Inc. He is founder and director of the CLR James Centre for Cricket Research, and was founder and Chairman of the West Indies Cricket Board’s Cricket High Performance Centre. He is Vice President of the Commonwealth Advisory Body of Sport and Development which advises Sport Ministers on the planning of the Commonwealth Games. Sir Hilary is Chairman of the Caribbean Examination Council. In 2013 Sir Hilary was invited to coordinate Caribbean governments’ policy positions on the global reparatory justice conversation. In this capacity he was asked to Chair the newly established Caribbean Commission on Reparations. Under his guidance The University of the West Indies has established “The Caribbean Centre for Reparations Research”. He served as an associate member of the London University Legacies of Slavery Project, and the University of Hull’s ‘Wilberforce Institute for slavery and Emancipation”. He is also member of the United Nations Development Program Advisory Panel for the Caribbean Human Development Report. Sir Hilary is also an accomplished playwright with six of his staged works receiving popular acclaim in the Caribbean. These plays bring to the stage seminal moments in Caribbean and Atlantic history and were written in consultation with the late Derek Walcott and Rex Nettleford. As Vice-Chancellor of The University of the West Indies he conceptualized and guides its internationalization agenda. There is now the UWI-SUNY Centre for Leadership and Sustainable Development, based in New York; The UWI–University of Lagos Institute for African and Diaspora Studies, in Lagos; and the UWI- Global Institute for Software Technology, in Suzhou, China. 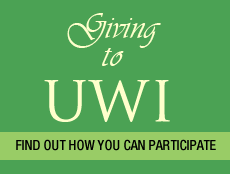 Under development is the UWI/ University of Johannesburg Institute for Global Africa.